Construction Surveys calculate and mark on the ground where, both horizontally and vertically, specific design elements are to be placed and constructed. 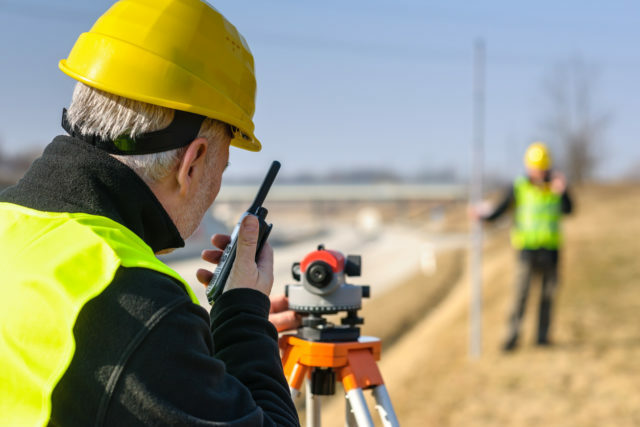 This process is to stake out reference points and markers that will guide the construction of new structures such as rail/roads or buildings. These markers are usually staked out according to a suitable coordinate system selected for the project. Conduct a survey at the end of the project to verify the results that authorized work is completed on right time as per set goals.